Radical Kyosho G-Zero & Zephya Drone Racers! « Big Squid RC – RC Car and Truck News, Reviews, Videos, and More! Radical Kyosho G-Zero & Zephya Drone Racers! 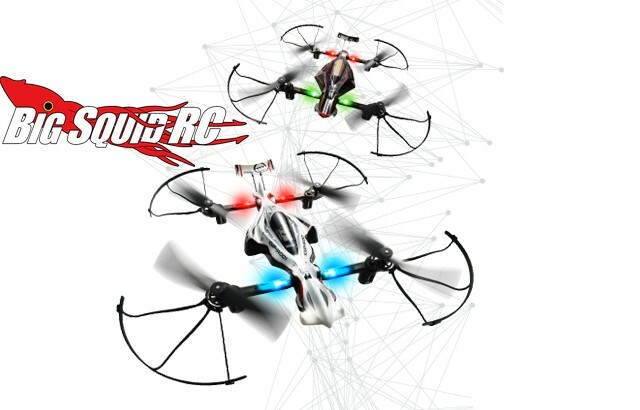 Here it is folks, the highly anticipated Drone Racers from Kyosho. During the teasing phase very little was known about them, now we have full details and they are quite different from a typical race drone. Perhaps the biggest difference between the Drone Racers and a “normal” race quad is that they use a Pistol style radio. This makes it easy for a person who is used to driving surface cars or trucks to adapt over to a quad. This brings us to the second thing that makes the Drone Racer much different. How do you control altitude when using a pistol grip radio? You don’t, the new Drone Racers do that part for you automatically. 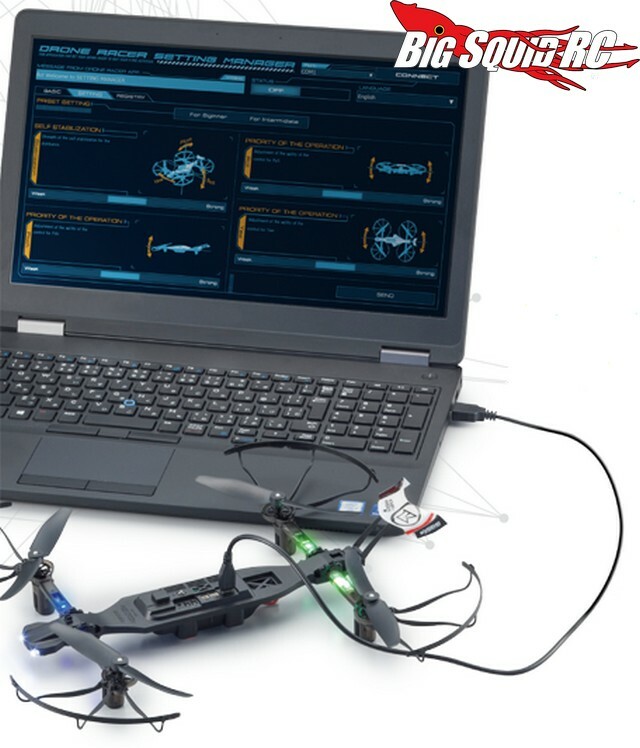 The Drone Racers use ultrasonic and barometric pressure sensors to keep the quad precisely at 35cm (about 13″) or at 60cm (23″) off the ground. This works on dirt, pavement, or even water. While running a Drone Racer you don’t have to worry about compensating for how high it is flying, it will automatically follow the curvature of the ground so you can focus on turning, accelerating, and decelerating. There are two distinctly different bodies that will initially be available for the Drone Racer, one called the G-Zero with the other being called the Zephya. Both are styled after modern Formula One cars and both come with a stylish rear wing. Also making it easy to fly is a one touch button for take-off, hovering, and landing. One of the other standout features on the Drone Racer is its props, they can change angle. The props can change between 0°, 10°, 20°, with 0° giving you more stability and 20° yielding more speed. * Flight Time- 10 min approx. The Drone Racers are expected to start shipping in November with the G-Zero having a part number of #20571W-B and the Zephya sporting a part number of #20572BK-B. The Drone Racer will probably be a high demand item for the holidays, so we suggest getting one on pre-order at your LHS if you plan on having one under the tree for Christmas. Lastly, if you want more details, just follow This Link over to Kyosho’s website. Note From Cubby- Yes folks, you can literally take one of these down to your local rc car track and race it like a car, albeit one that is floating 13 inches (or 26) off the ground. 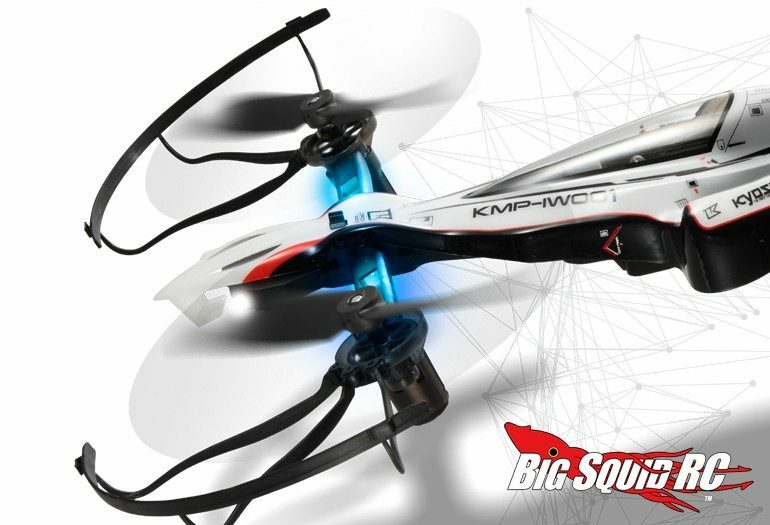 Click Here for more Kyosho news on BigSquidRC.